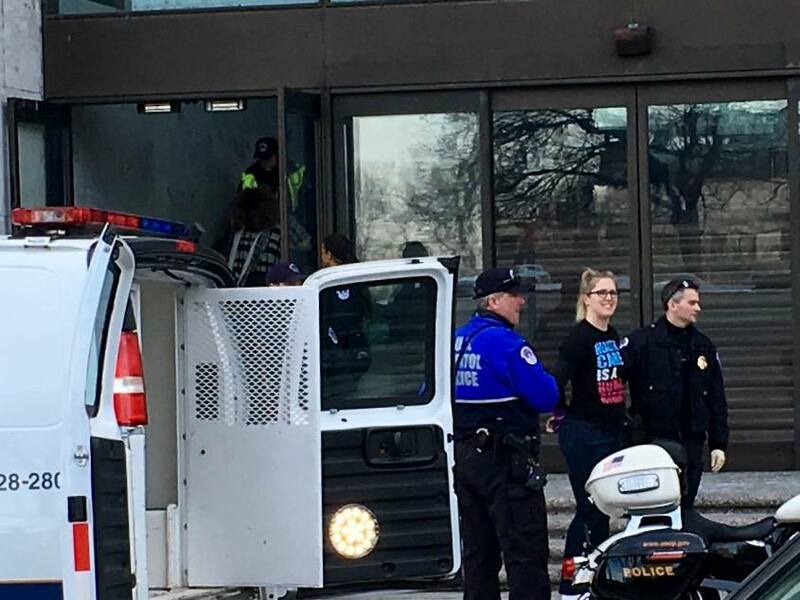 SEIU503 Local | SEIU members among 50 arrested at healthcare action in D.C.
SEIU members among 50 arrested at healthcare action in D.C. 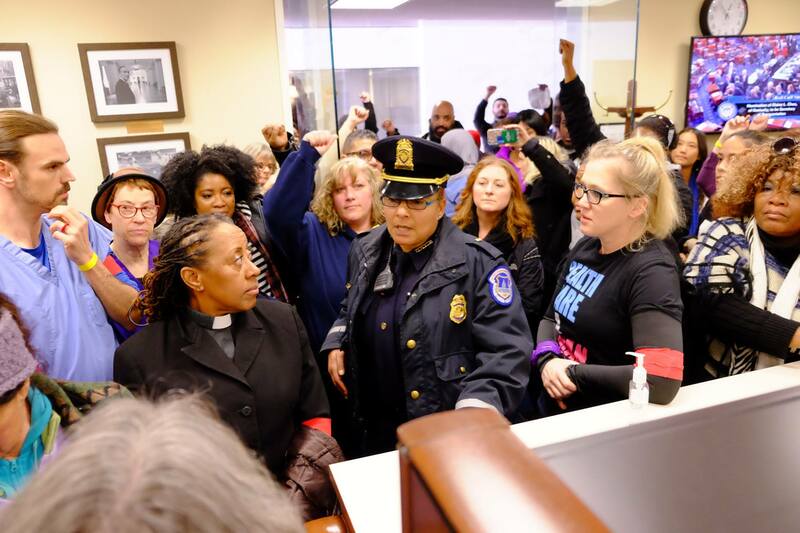 Yesterday, a group of 100 nurses, doctors, healthcare, homecare and child care workers, community activists, veterans, and faith leaders lined the hallways outside the hearing room for Tom Price’s confirmation vote to confront Senator Hatch (UT). 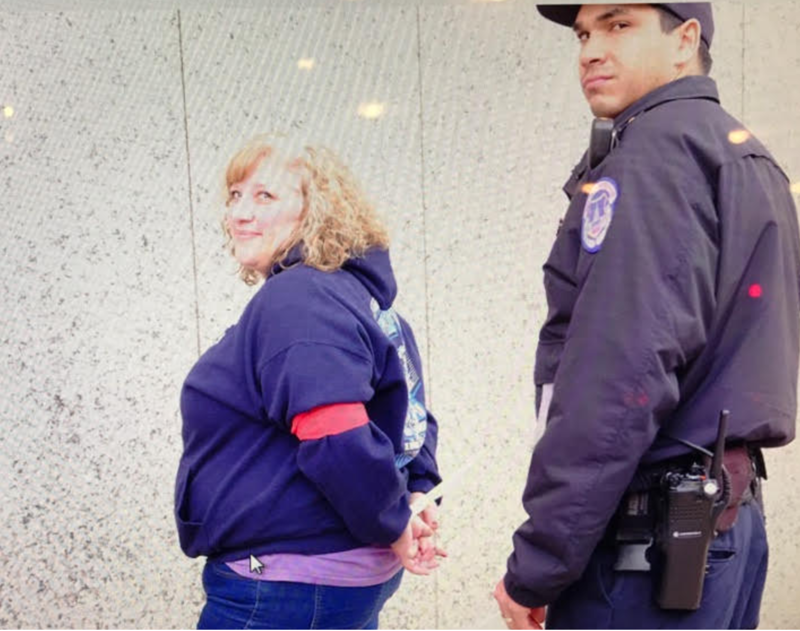 At the event, Nanette Carter-Jafri (an Oregon homecare worker), and two activists from SEIU Local 49 were among 50 people arrested at the action. 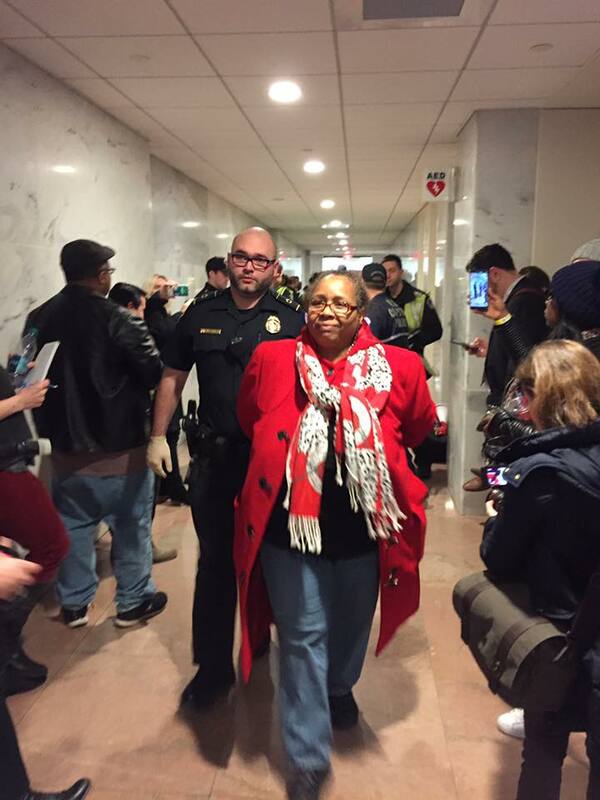 Despite these brave Oregonians putting themselves at risk for our healthcare, the Senate suspended its normal rules last night and appointed Tom Price.